Pennsylvania Supreme Court, circa 1904.
Credit: From Alex McCLure, Old Time Notes of Pennsylvania(Philadelphia: John C. Winston Co, 1905). 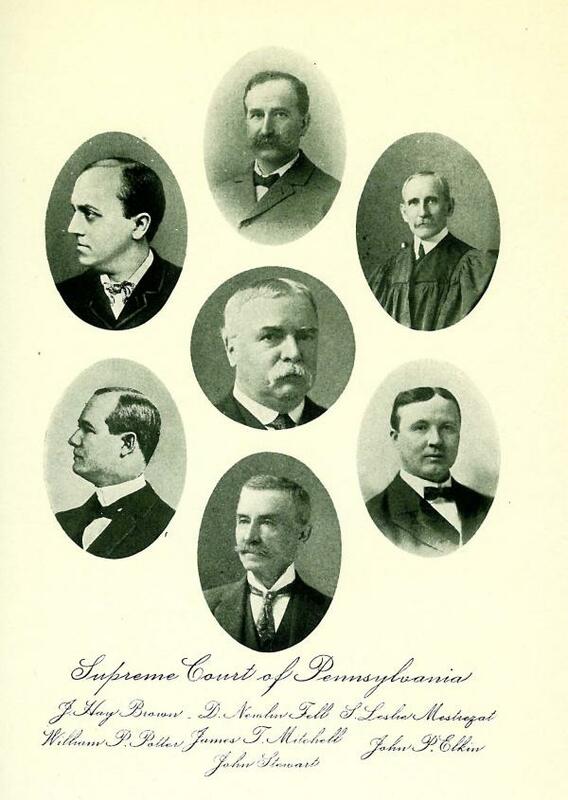 From the 1870s into the 1930s, Pennsylvania's highest courts reflected the pro-business beliefs of the men who controlled the state government and judicial appointments. Fro decades, court rulings consistently favored the property rights of business interests over the rights of workers, public health, consumers, and the environment.